Human beings are innately trained to do certain basic things: Eat. Drink. And despise television commercials. But put down that remote for a second. While in no way should you shun food and water, don’t go skipping through the car ads on your TiVo. Turns out that sitting through those 30-second spots may make you happier than you think. According to a surprising study to be published in the Journal of Consumer Research, commercial interruptions often enhance enjoyment of television, at least for younger viewers. How could that possibly be true How can brain-shearing jingles, annoying announcers and awful acting possibly make you happier According to the researchers, it all boils down to a behavioral trait called adaptation. Adaptation predicts that even positive experiences become less enjoyable over time. Prior studies have shown that the longer people live in an enjoyable place, consume their favorite ice cream or listen to their favorite song, the more the intensity of their happiness declines. One study concluded that even after people win the lottery, their happiness returns to prior levels a few months after cashing in the ticket. Along these lines, the authors of the new study, titled “Enhancing Television-Viewing Experience Through Commercial Interruptions,” proposed that the longer viewers continuously consume a television program, the less intensely they enjoy the experience. Sure, I’m euphoric that The Office is on now, but five minutes into the show, that euphoria has certainly worn off. So what can possibly help me get the love back An annoying set of commercials, for sure. Yes, I hate the fact that I’m seeing that Toyota ad for the 800th time. 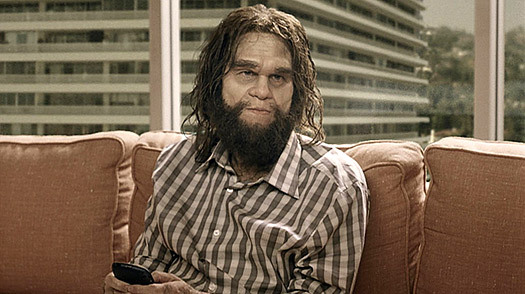 And the Geico cavemen just aren’t that funny anymore. Please make it stop. Wait, thank heavens: The Office is back on! Yes, I’m ecstatic once again. To test their hypothesis, the researchers  Leif Nelson, a marketing professor at the Rady School of Management at the University of California, San Diego; Tom Meyvis, a marketing professor at New York University’s Stern School of Business; and Jeff Galak, an NYU doctoral student  asked subjects to watch an episode of the Emmy-winning sitcom Taxi. The episode, “Louie’s Mother,” originally aired in 1981 . The researchers chose Taxi because the subjects, 87 undergraduates from NYU, had no pre-existing opinion of the show. Half the subjects watched Taxi exactly as it aired in syndication back in 2005. The commercials included a mix of cheesy local New York City advertisements for places like the Jewelry Factory and the law office of Michael Brownstein, as well as network promos for shows like Geraldo, The Simpsons, and Inside Edition. The other half watched Taxi without any commercials. Those who watched the show with interruptions reported statistically significant higher levels of enjoyment. The researchers ran similar tests involving a four-minute clip of an animated sword fight between two pirate characters and a three-minute nature video about ducks. In both cases, when commercials were inserted into the middle of the clip, respondents reported higher satisfaction levels than did those who saw it without advertisements. Also, those who saw commercials were willing to pay more money for a DVD compilation of 15 shorts by the director of the pirate video and to donate more funds to wild-duck preservation. The results held true whether the commercials were humorous or annoying . Not everyone should stick around for the Subway ads. First, the study is a bit biased toward college-age respondents. To correct that, in one experiment the researchers expanded the age range, including subjects from 18 to 67 years old. Those over the sample’s median age of 35, which matches the median age for the U.S. population at large, preferred programs without commercials. Subjects under 35 liked the breaks. Since younger viewers get bored more easily, they might desire more novelty  in this case, an ad in the middle of a program  than older viewers do. Further, when viewers watch shows with a strong narrative plot, like 24, Lost, and ad-free HBO dramas such as Big Love and The Sopranos, commercials could dampen the experience. To test this, the researchers showed viewers two different Bollywood musicals. One featured a fast-paced dance sequence in which two male Indian actors pursued the lead female actress . The other involved a more languid sequence without a compelling hook . When viewers were watching the more dramatic clip, two commercial breaks  one for the Jewelry Factory, the other for the illustrious Michael Brownstein  had no real effect on their experience. For those who saw the low-octane video, the commercial breaks significantly enhanced their experience. The longer the clip ran without a break, the more bored those viewers became. Still, could a commercial break in the middle of Big Love, HBO’s critically acclaimed hour-long series, increase a viewer’s intensity after the break , thereby improving the overall experience And what do these findings mean for the advertising industry Will under-35 viewers, the catnip demographic for most sponsors, start ditching the DVRs so they can absorb the ads “I’d imagine that advertisers might smile and pat themselves on the back for this,” says Nelson, the report’s lead author. “But it’s not going to lead people to keep commercials in their life. The strong feeling people have against commercials is truly ubiquitous. It swamps everything.” Even, possibly, one’s happiness. See the top 10 TV episodes of 2008. See the 100 best movies of all time.